The Saving One Million Lives Program for Results is a $500million performance based program which incentivizes and rewards federal and state governments for achieving results on key maternal and child health indicators. Following the declaration of program effectiveness in May 2015, the Program Management Unit (PMU) with the support of the World Bank embarked upon a series of meetings with all states to ensure they have a thorough understanding of the program, the role of state governments, as well as, the implementation process. States, in addition to being largely responsible for health service delivery, are the major beneficiaries of the Pfor R, receiving about 82% of the credit sum, hence the need to ensure their active engagement and participation. These meetings were conducted in each geo-political zone, with six meetings holding between June and August 2015. The Meetings held in Kaduna, Calabar, Enugu, Yola, Lagos and Abuja for the North-West, South-South, South-East, North-East, South-West and North-Central geopolitical zones respectively. The meetings were interactive and over the course of two days, sessions which increased participants’ knowledge of the program, their role in its implementation and next steps with regards to fund disbursements were held. The template for developing state work plans, needed to access the initial disbursement under DLI 1.1 was also presented to the participants. These sessions were facilitated by the PMU led by Dr Ibrahim Kana with support from the World Bank team led by Dr Benjamin Loevinsohn. 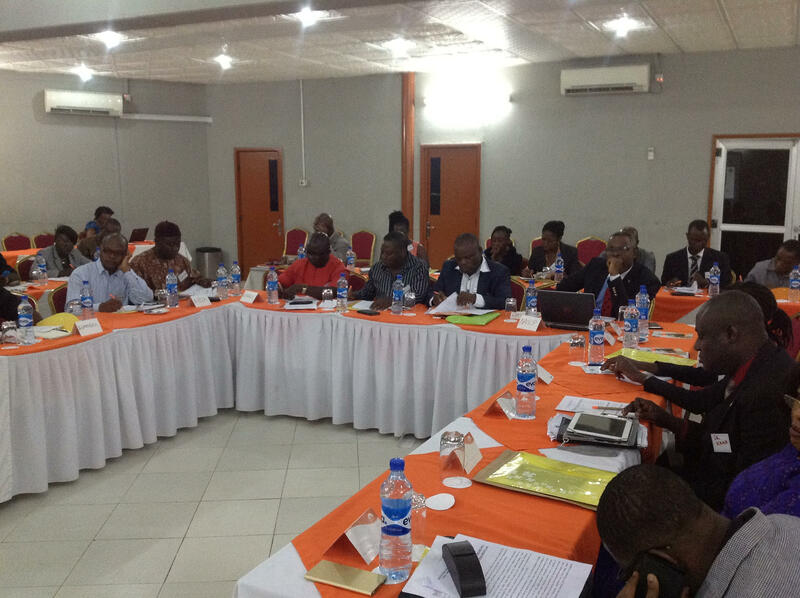 Presentations on the first day gave participants an understanding of the program, the implementation process, the disbursement linked indicators, roles and responsibilities of states as well as the development of state work plans. Sessions on the second day emphasized innovation as a key driver of the implementation process, providing several examples of innovative approaches to service delivery, including performance based financing, state health insurance schemes, private-public partnerships and use of quantitative supervisory checklists. States were strongly encouraged to consider, initially on a pilot basis, innovations that will improve service delivery and health outcomes. There were practical sessions on how to calculate the disbursement linked indicators (DLIs) as well as a group activity designed to help participants identify health care challenges/bottlenecks and develop innovative solutions to address them. These were very useful exercises which helped participants understand the linkage between performance and earnings, and the process of generating ideas. Throughout the course of the meeting, participants provided great feedback, thoughtful comments and useful suggestions on how to ensure successful implementation in the states. The delegation from the Federal Ministry of Health was led by the Permanent Secretary, Mr Linus Awute, mni, and included Directors of Planning, Research and Statistics, Public Health, Family Health, Coordinators of the Malaria Elimination Program and HIV/AIDS Control Program, Executive Director NPHCDA, Executive Secretary NHIS and their representatives. State officials from all states were present at the meetings. Participants were a mix of representatives of the State Ministry of Health including Commissioner of Health; Permanent Secretaries; Directors of Primary Health Care; Public Health; Planning, Research & Statistics; State Primary Health Care Development Agency Executives as well as State Ministries of Finance and Economic Planning including Permanent Secretaries and Directors. Also present were the SOML Desk Officers from states that had appointed them. Representatives of development partners and non-governmental organizations including, UNICEF, Bill and Melinda Gates Foundation , WHO, DFID, UNFPA, and FHI were present, with strong representation from civil society and private sector players. The National Program Manager, Dr Ibrahim Kana, welcomed participants to the meetings and stated that the SOML PforR is the result of collaboration between the World Bank and the Federal Government of Nigeria and seeks to address the poor maternal and child health indices in the country. He reiterated that the focus of the program is on results rather than inputs. In his keynote addresses, the Permanent Secretary, recognized all participants and commended them for their efforts in improving health care delivery to the populace. He stated that the SOML initiative was conceived in 2012 to save lives by using high impact innovative interventions to save lives of mothers and children. He stated that states are expected to access funds based on performance results and noted that the objectives of the PforR fit into the National Strategic health development agenda as well as the post 2015 development agenda. 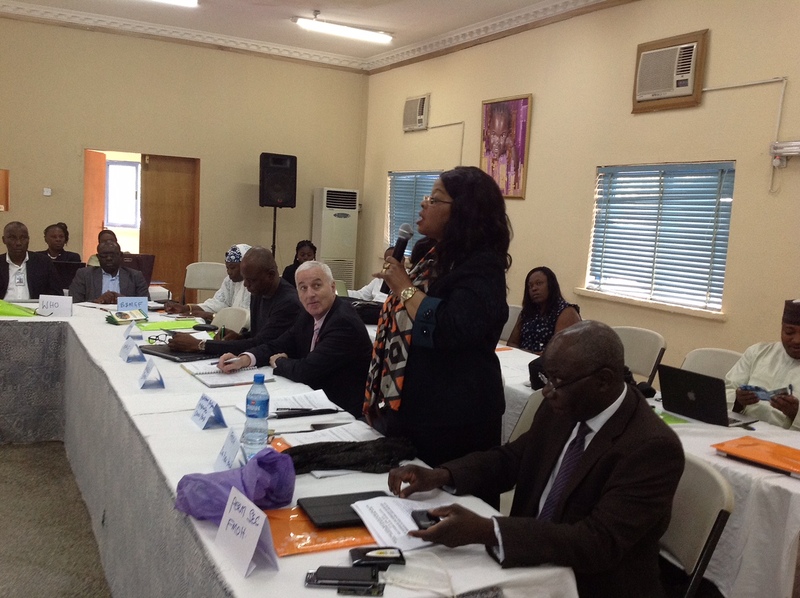 The World Bank representative spoke on the need for Nigeria to do better for mothers and children; emphasizing that the PforR provides state health managers funds, technical support and substantial autonomy to figure out how best to improve maternal and child health outcomes in their states. 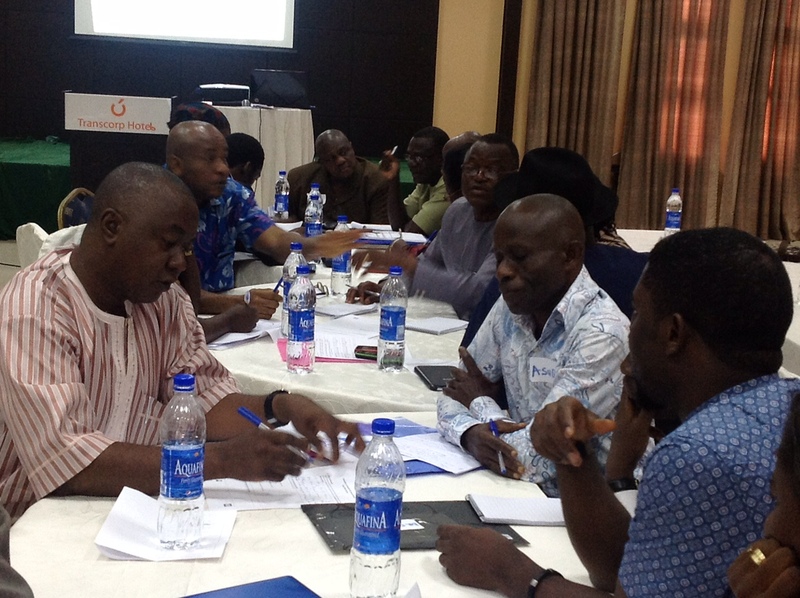 Participants were actively engaged during the course of the meetings and they had many questions and comments. Clarifications and answers were provided to the questions by the SOML PforR team and feedback from many participants showed that they found the zonal meetings extremely useful. They generally agreed on the need to coordinate activities within the health sector and that SOML provides a unique opportunity to move away from the current compartmentalization of activities and get people to work together to achieve better health outcomes. On some of the innovations discussed, participants noted the difficulty of innovating within the civil service where there are strict rules, regulations and constraints. They thus recommended that the PforR team take a more critical look at some of these challenges and provide tips on how to overcome them. At the end of the meetings, states noted that they were more informed about the program and assured the Permanent Secretary of their commitment to its success. They shared their enthusiasm for the program and are looking forward to a smooth and successful implementation.